Well, I actually can believe it’s not Milo. I lie, because it’s not exactly the same. It has that little crunch just like milo does though! Enjoy it as a hot or cold chocolate milk with the milk of your choosing. It’s a fabulous chocolate ice cream sprinkle too, as the ultimate nostalgic big kid treat, as well as for the little ones. It’s nut free, refined sugar free, fructose free (so a great fodmap diet alternative), additive free and gluten free. The tiny amount of lactose in it is from butter, which most people tolerate. If you can’t do any lactose or cassein at all, make it with organic ghee as it’s an equally great result with it. MILK POWDER, BARLEY MALT EXTRACT, SUGAR, COCOA, SODIUM PHOSPHATE, DICALCIUM PHOSPHATE, SOY LECITHIN, VITAMIN A PALMITATE, THIAMINE HYDRICHLORIDE, FERROUS FUMARATE, ARTIFICIAL FLAVOUR… Artificial Vitamin A, Artificial Flavour, Sugar in No 3 spot. It’s just not right. This stuff is far from food, and while it probably won’t do much harm to have the odd glass, if we can do better and it tastes better than where’s the contest? So, here’s to wiping the processed weirdness away with this delicious home made chocolate drink base. Double the batch and pop in a big jar if you have kids over regularly or a big family. If you make it and like it, please pop by either here in the comments or over on my facebook page here a little note! It always helps others thinking about trying to make something new, if they see others who have! I’m all about inspiring the collective to ditch the weird unpronouncables in supermarket aisles and get clever with a few easy home substitutes! Speaking of substitutes and chocolate, feel free to try my delicious and ludicrously easy 30 second freezer fudge, healthy Faux Fudge or my Cocoa Caramel Chews – the list actually goes on, so happy exploring the recipes! Have a sheet of parchment ready, for a quick turn out of the toffee. Melt your butter in a medium heat cast iron or stainless steel frying pan. Still using teflon? Re-think about it. 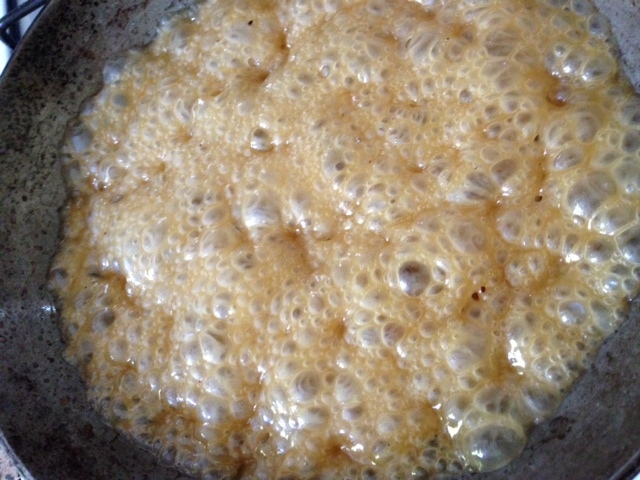 Add your rice syrup and stir them together until combined and bubbling. Let the rice syrup and butter bubble away slowly together for 10 minutes or thereabouts depending of course on your stove heat and pan thickness. Not enough means it will not crisp up, and too much means you will burn it. Basically, as soon as you detect a change to a darker golden colour, get it onto the baking sheet pronto. Leave on a baking sheet to harden. I use ‘If We Care’ brand. Great stuff. Go and do something else. Read, relax, oh who am I kidding: bathe a child! The last 2 minutes work comes in half an hour. Ok, now that you’re back, just break shards of the praline up into a whizz bang blitzer type of thing. 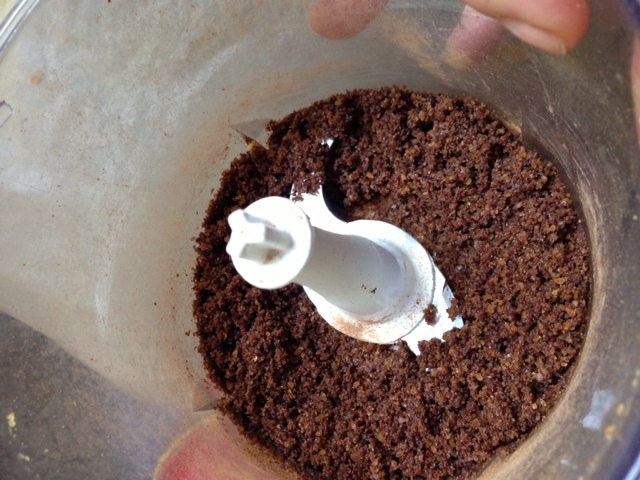 Add your vanilla powder and cacao (1.5tsp first and check if it’s chocolatey enough for you, adding the other 1/2 teaspoon if you like) and blitz together for 30 seconds until a fine chocolate sand has formed. Go on – Taste it! Dissolve a heaped tablespoon with a tiny bit of boiled water. Top with the milk of your choice and an ice cube or two. Dissolve 1-2 heaped tablespoons and 200ml your choice of milk per serving and warm for a few minutes on the stove. Pick up with hands in little pinches – or by the handful!!! Sprinkle on desired object be it ice cream or chocolate pudding. Thank you so much. I’d love to know more. Buy australia rice and rice syrup. The arsenic in rice is from the ground water. Australia has lower levels of arsenic in the ground water. When I checked a Pure Harvest bottle recently it the rice was not Australian.. from Pakistan I think..? This is delicious, i’m drinking a warm mug now. wow I can’t wait to make this for my nephew! Made this today – YUM!! Hubby and kids LOVED it!! Have been reading about the arsenic traces in rice syrup, so I am wondering, is Barley Malt Syrup an okay sweet substitute to use? I can’t find vanilla powder. Do you think I could add extract to the toffee once it cools a little? Hi Jen, Sorry for late reply. If you’re going to use extract, put it in and bubble in the caramel, otherwise you’ll get a bitter alcohol taste as it wouldn’t have time to evaporate if you added it to the toffee once cooled. Vanilla powder is available from Organics on a budget.com.au of you’re in Australia! Not to mention Milo is a nestle product, which is just one of the most unethical companies out there! This sounds delicious. If, like me, you are living in the kitchen dark ages and don’t own a food processor, do you think I decent blender would do? 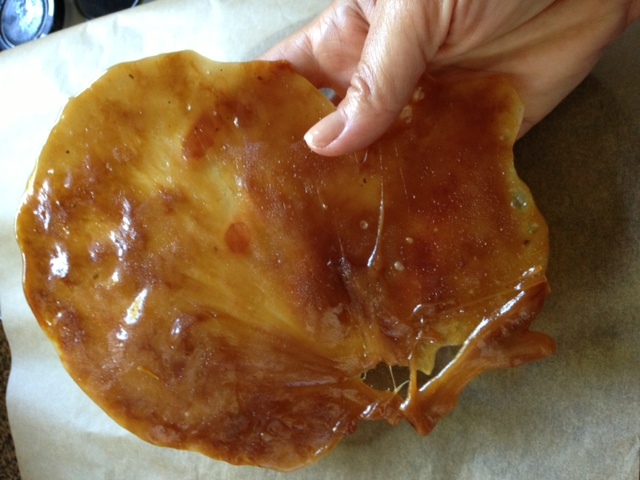 Hi – can the toffee component be made with agave syrup? Can’t wait to make this! Anyone tried it with carob instead of cacao? This recipe is such a winner. My 2 year old adores her hot chocolates from it and I never feel guilty when she shares one with a buddy :-). Yummy. 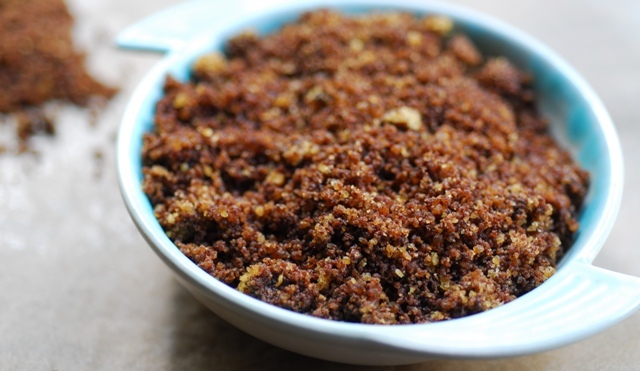 Thank you again Alex for another wholesome recipe in my forever family recipe repertoire :-). Thanks for the recipe!! I will be making this with ghee. So should I store this in the fridge?? 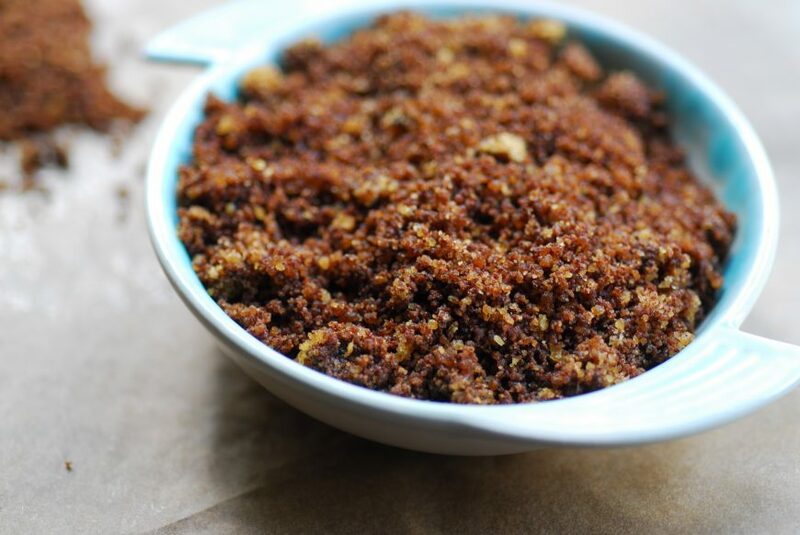 Has anyone made this with coconut oil instead of butter ? Did it work ? Hi Alexx, I made it before and it was awesome. But this time around I may have not cooked it long enough. It looked all great when it was done and I filled it in my glass jar but it is rock-hard now. Anything I can do to get it out/save it and my jar? 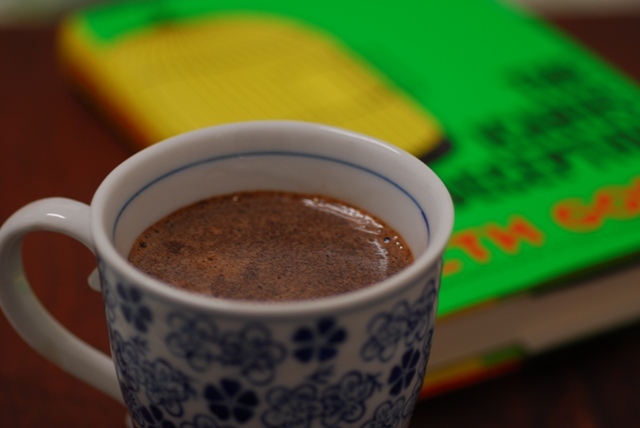 Can this Milo substitute be made with no sugars for diabetics? I have tried stevia with milk products, which does not sweeten. It only turns the mix bitter. How can the caramel flavor be made without sugar? What can be used to get more malt flavor? Hi, do you have a Thermomix recipe for this?? I am sure it is easy to convert but i am really bad at that!!! Hi Alex can i use honey or maple syrup instead. s not Milo – Low Tox Life is kinda plain. You might look at Yahoo’s home page and see how they write article titles to get people to open the links.